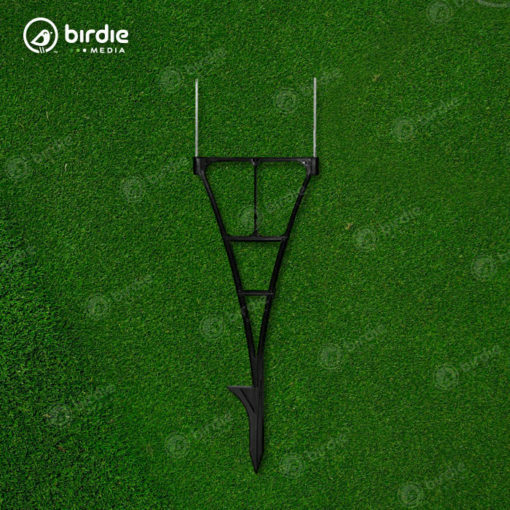 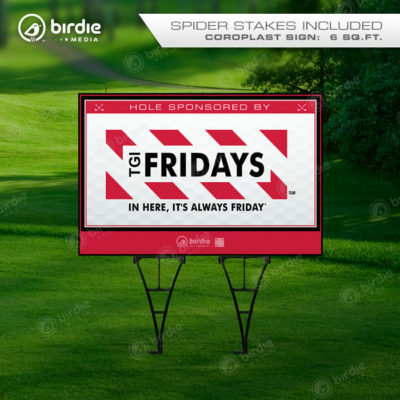 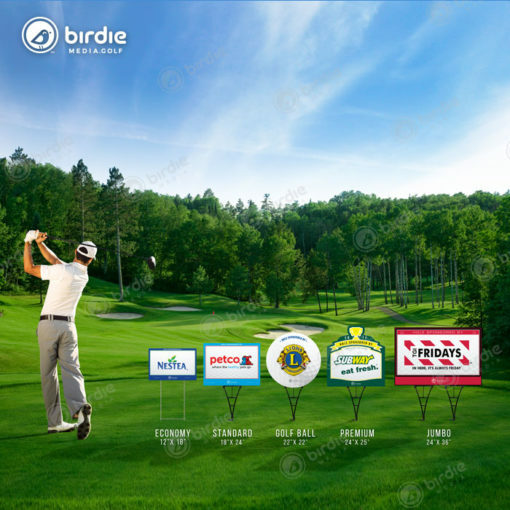 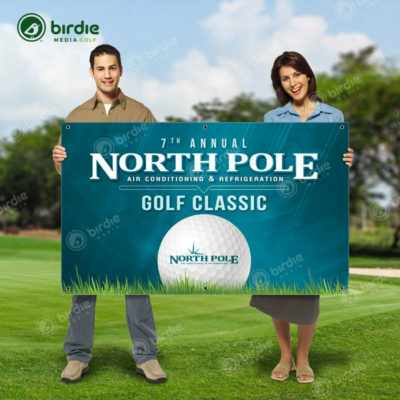 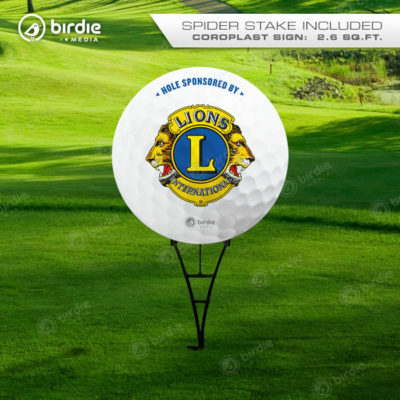 Golf tee signs are essential for promoting charity event sponsors and Birdie Media offers eye-catching exclusive tee signs that make a statement and are visually engaging. 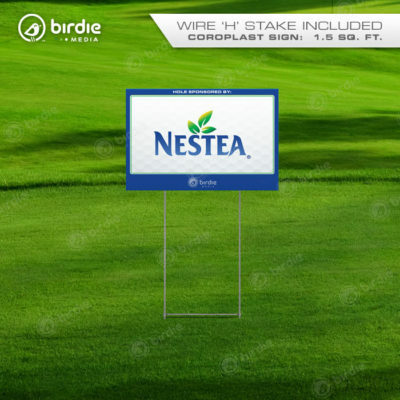 Birdie’s Typeset Tee Signs are designed for tournament coordinators who are unable to secure high quality sponsor logo(s) or are trying to maintain a consistent look & feel across their event signs as a whole. 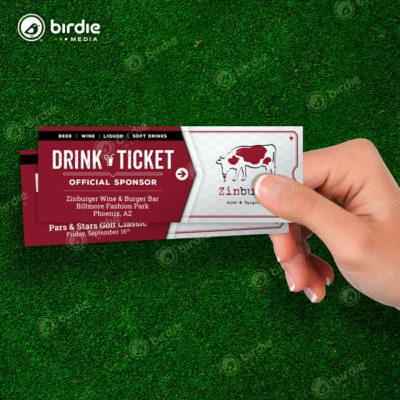 Birdie Media will choose a legible font to represent your sponsors or we can select a specific font of your choosing. 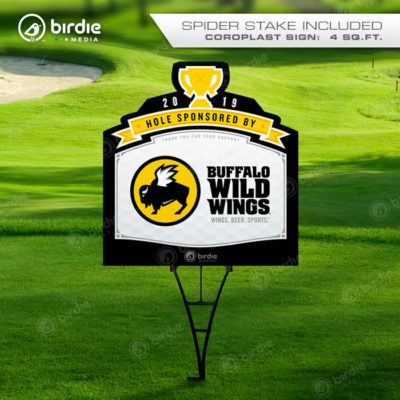 Our Birdie Media Typeset Tee Signs are printed single-sided, full-color on 4mm Coroplast and include one (1) premium PVC Spider Stake per sign.